Shin is available for pre-order at www.threezerohk.com for 180USD / 1400HKD with worldwide shipping included in the price. 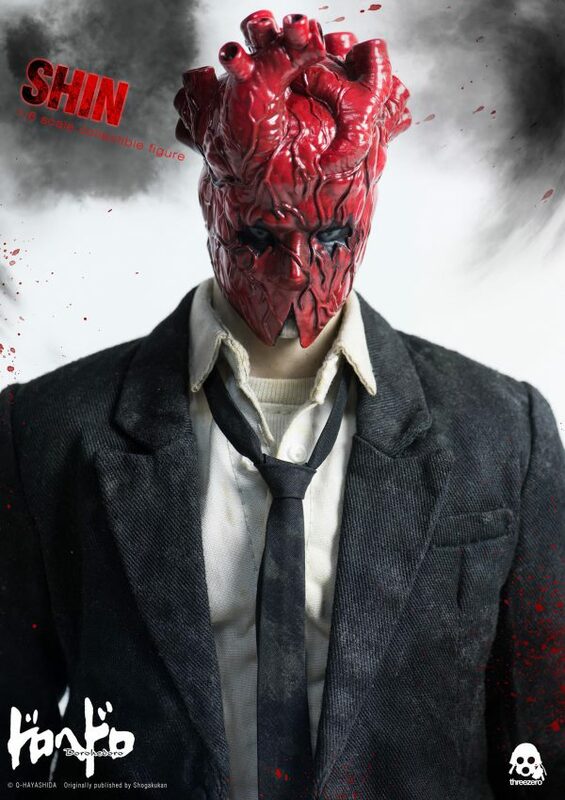 Please keep in mind: Even if you already had an account at our old store, you will need to complete a quick and easy registration procedure again at the new threezero Official Website. 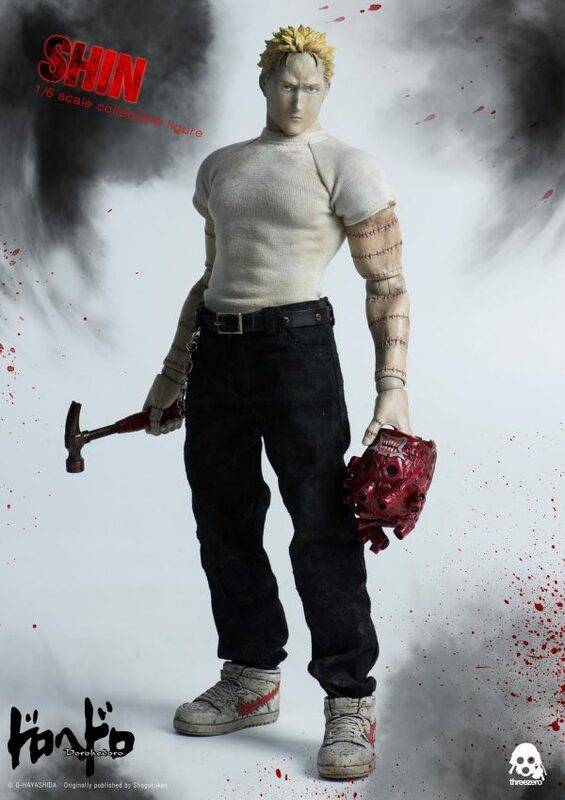 In addition to the standard release, we will also offer a Dorohedoro Shin Deluxe Version, available only at www.threezerohk.com, which will include a third head sculpt for Shin (Battle Mode Bare Face) and additional body part accessories for Cross-Eyes (detailed in the Product Specifications below). 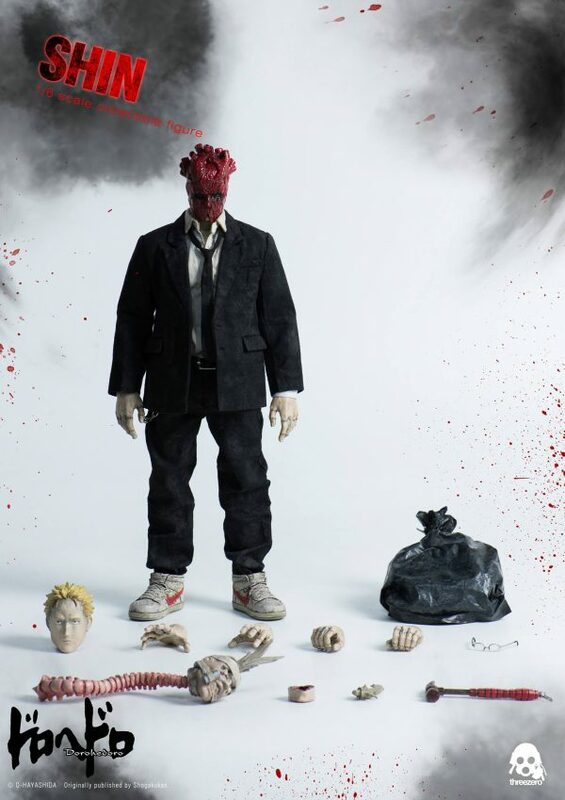 Dorohedoro Shin Deluxe Version price is 200USD / 1560HKD, and this price also includes worldwide shipping. 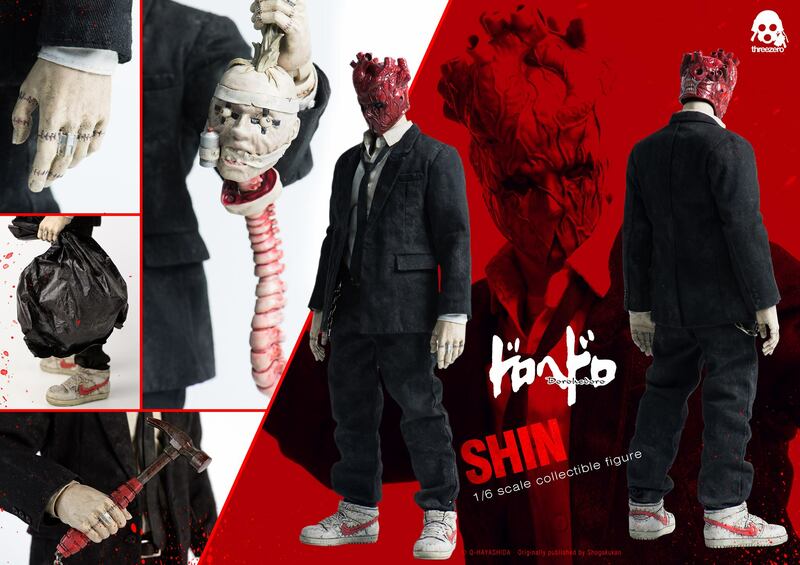 The highly detailed, fully-articulated Shin collectible figure stands approximately 12.79” (32.5cm) tall, and includes two head sculpts (one Masked Head and one Bare Face Head with Plain Expression) and additional features sculpted by guest sculptor Masaki Apsy. 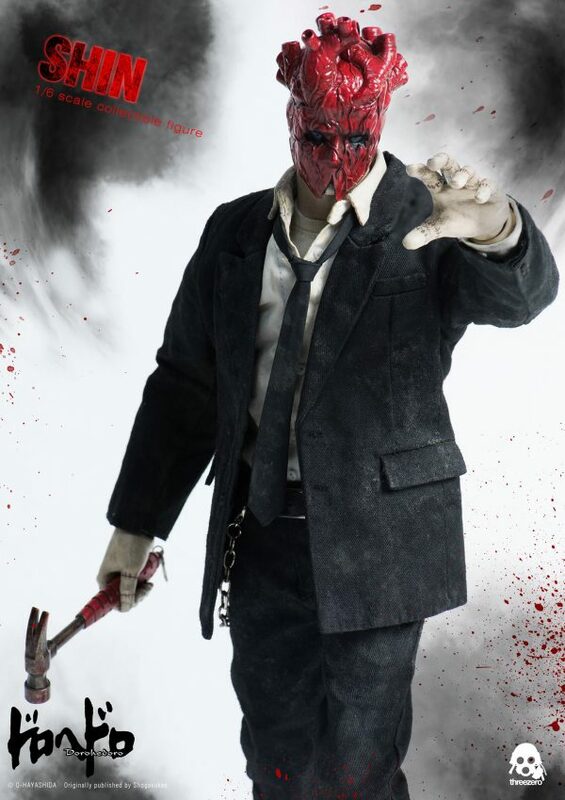 The figure comes with a tailored and weathered outfit consisting of Suit Jacket, Suit Pants, Dress Shirt, Necktie, T-shirt, Sneakers, and Glasses. 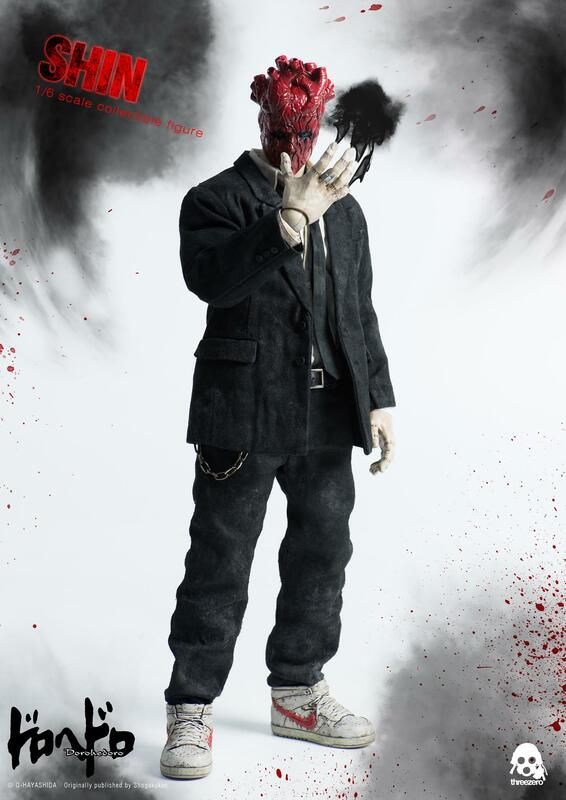 Accessories include a Hammer with a chain and hook, two Black Garbage Bags, three pairs of Interchangeable Hands (Relaxed hands, Gripping Hands, and Hands for Magic Smoke Casting Pose), and Cross-Eyes’ head and spinal column as sliced by Shin’s magic (with two Interchangeable Mohawk pieces for different posing options). 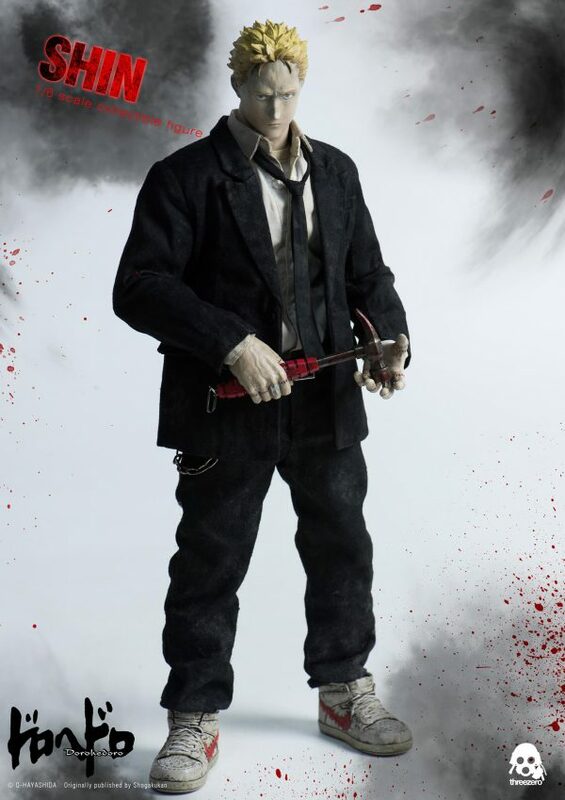 1/6th scale, approximately 12.79”/32.5cm tall, articulated figure. 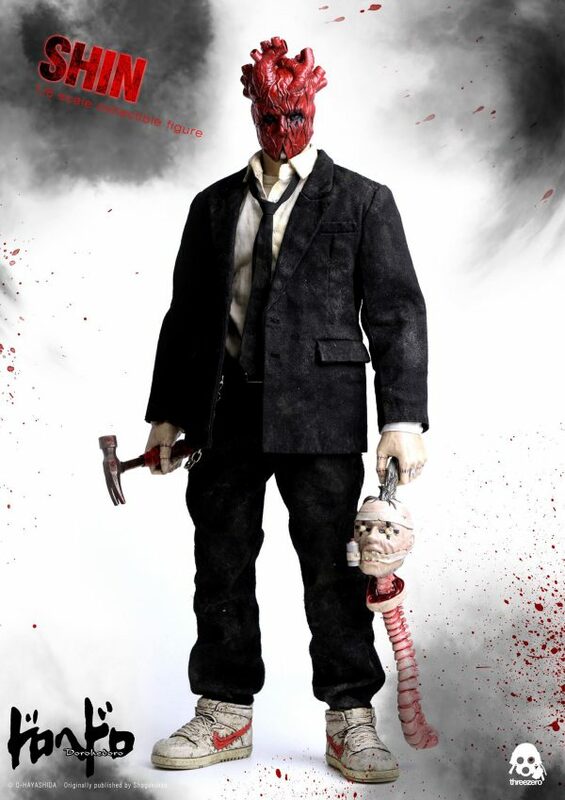 Sculpted by Masaki Apsy. Cross-Eyes sliced up by Shin’s magic (Head, Spine, and 2 Interchangeable Mohawk pieces).